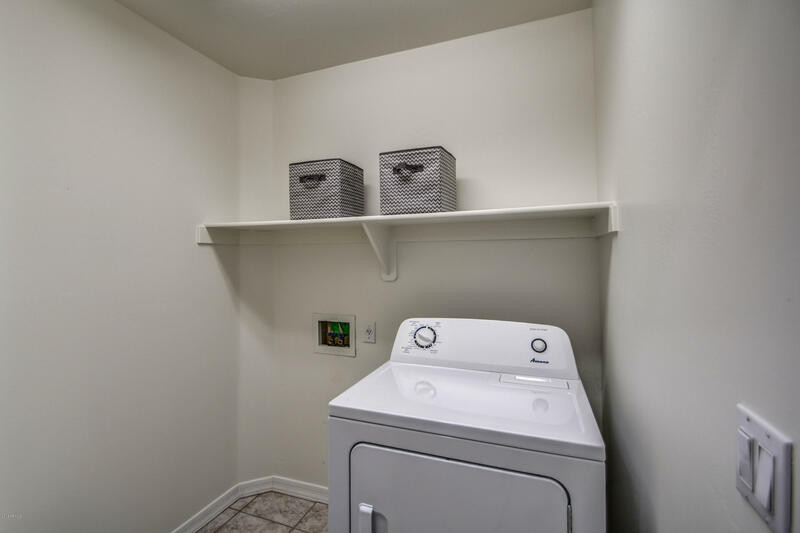 VOTED BEST ON TOUR! 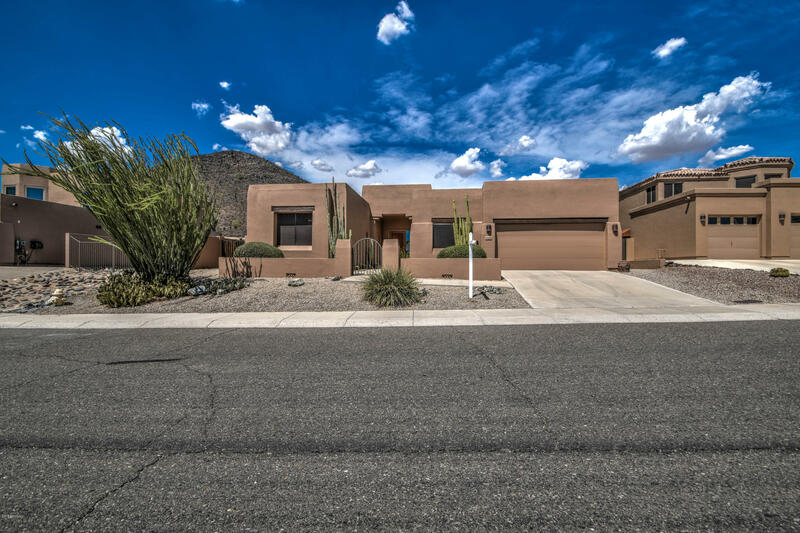 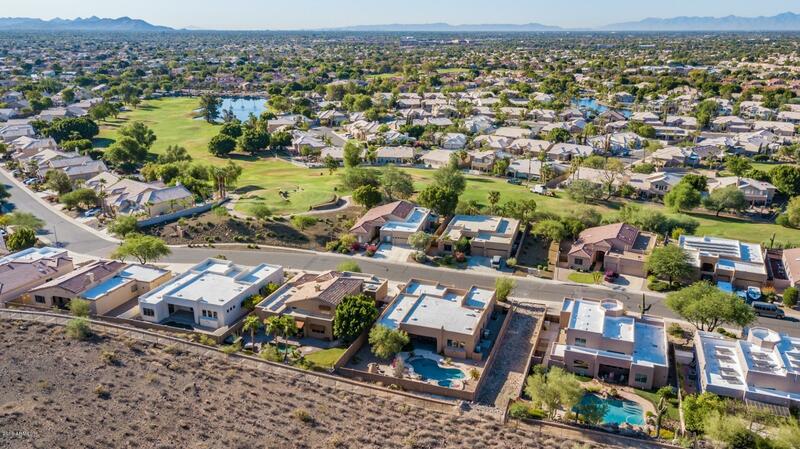 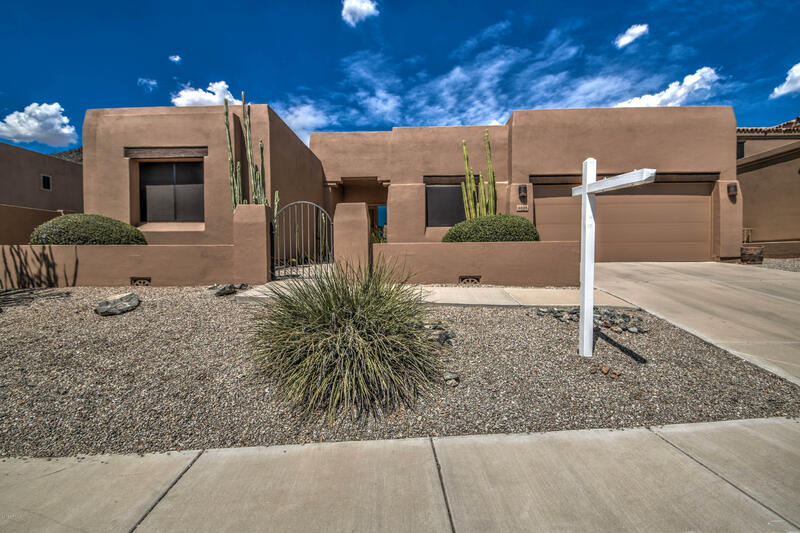 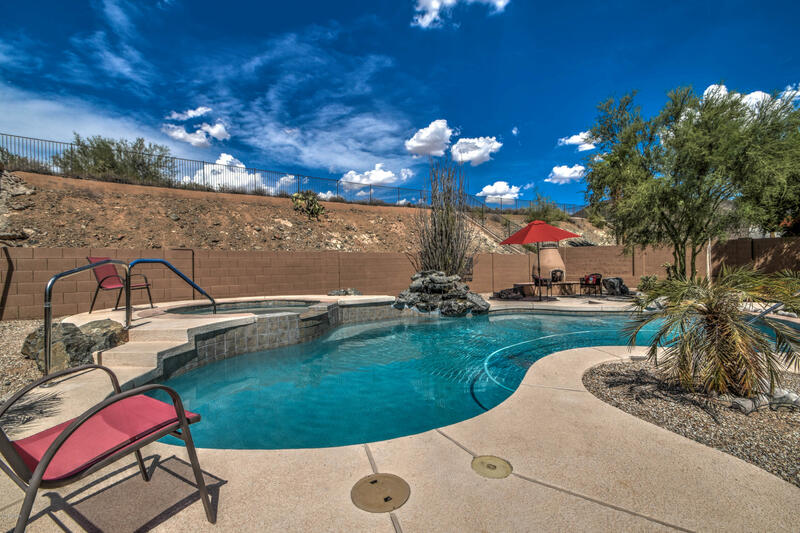 Beautiful 5 bdrm/3 bath home that backs up to Thunderbird Conservation Park! 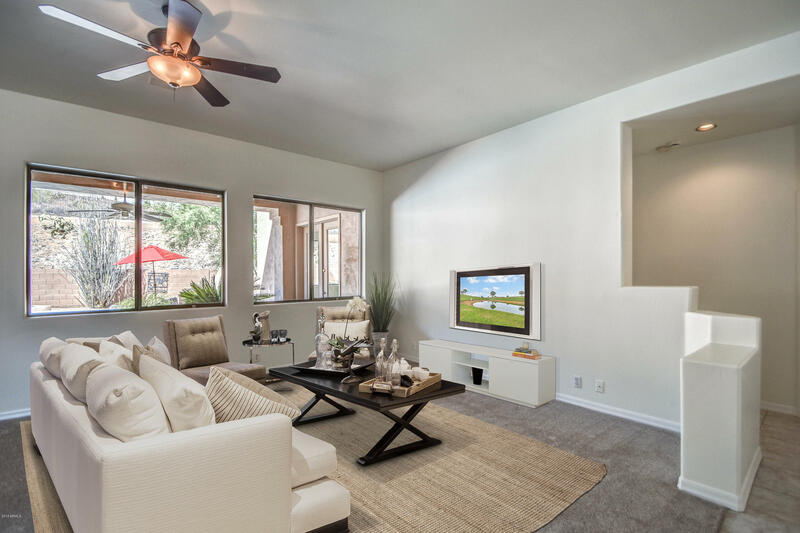 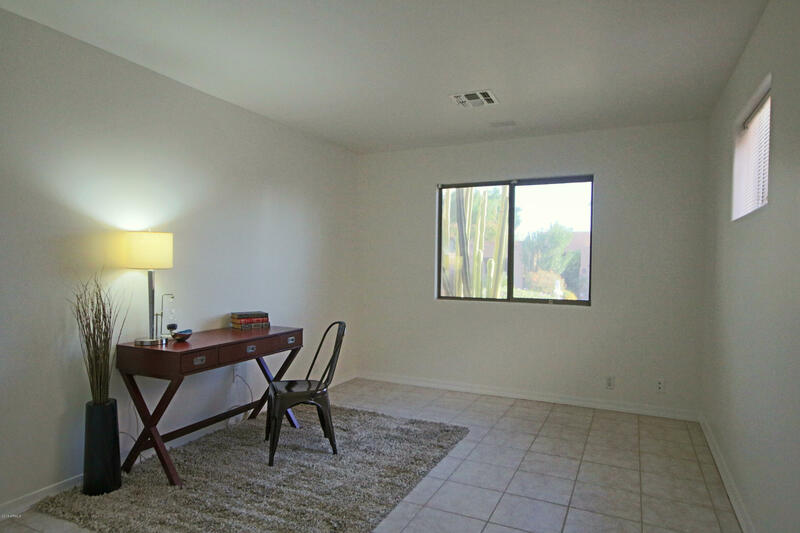 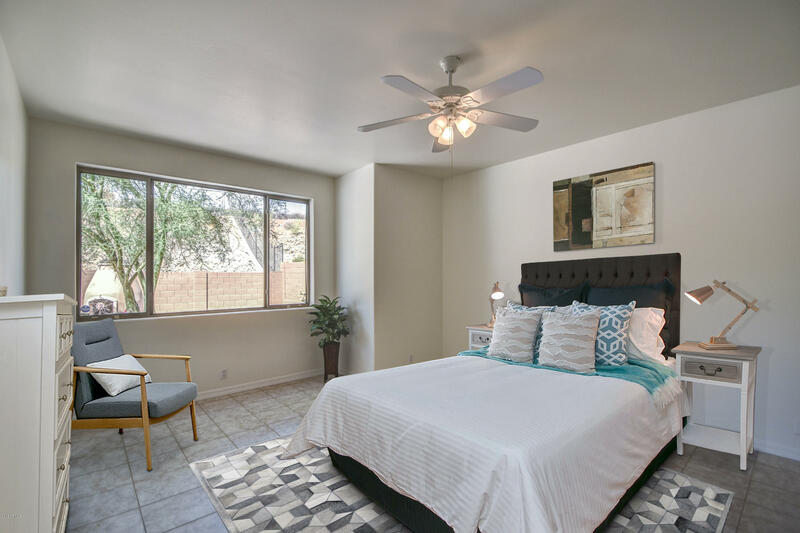 5th bdrm can be used as an office/den, exercise room, or storage! 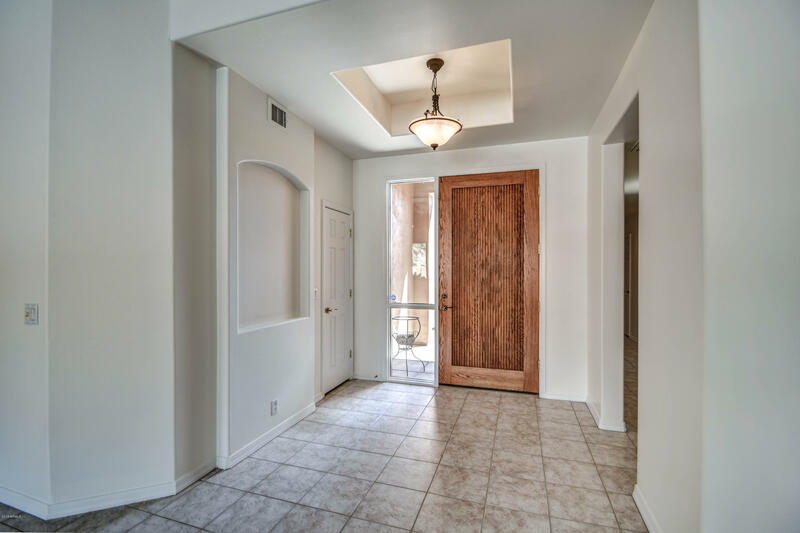 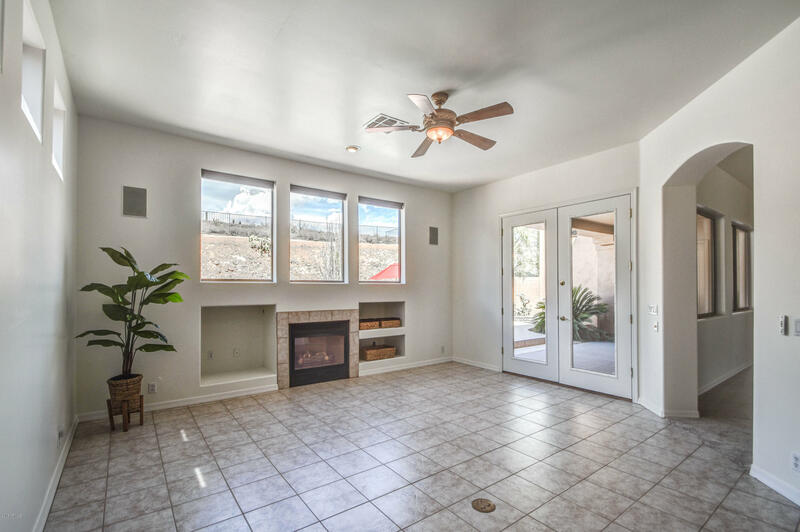 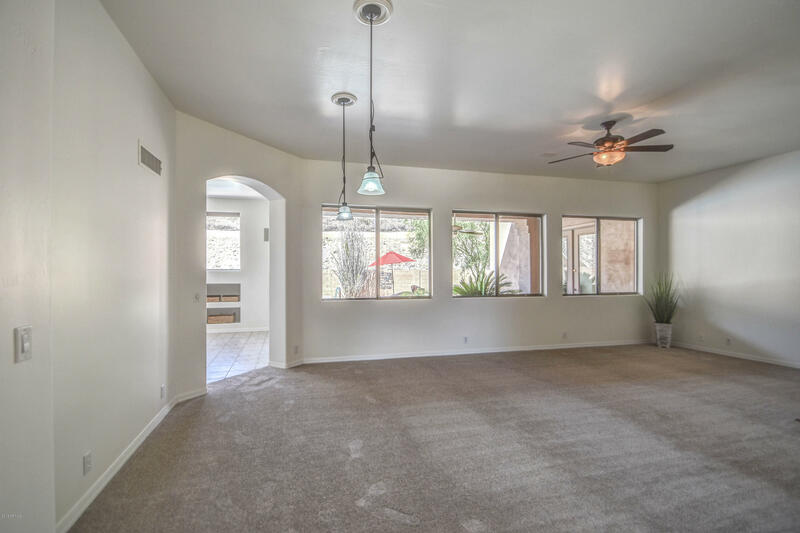 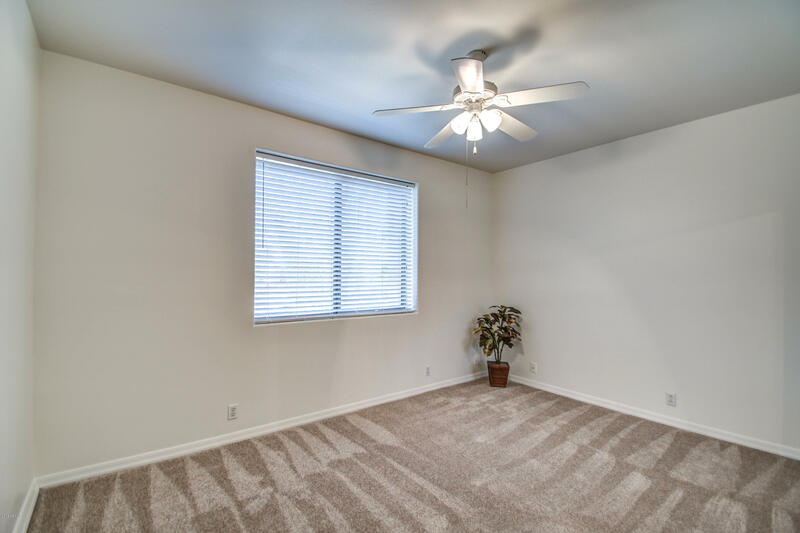 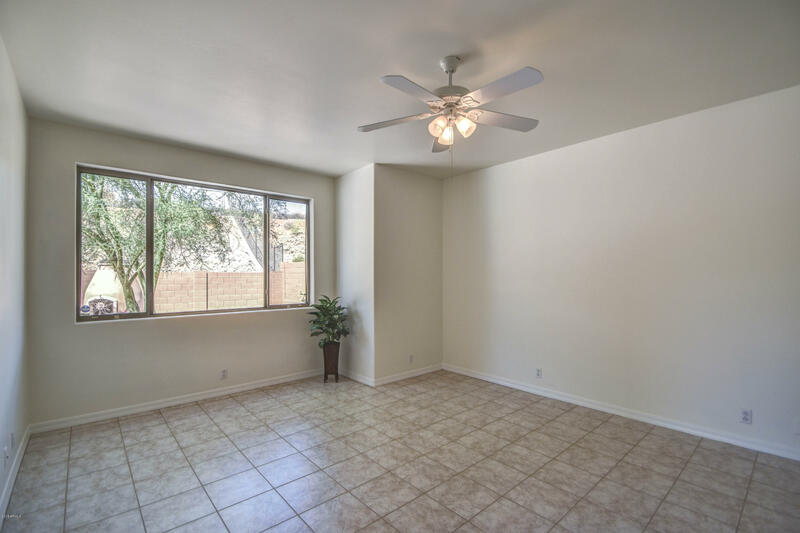 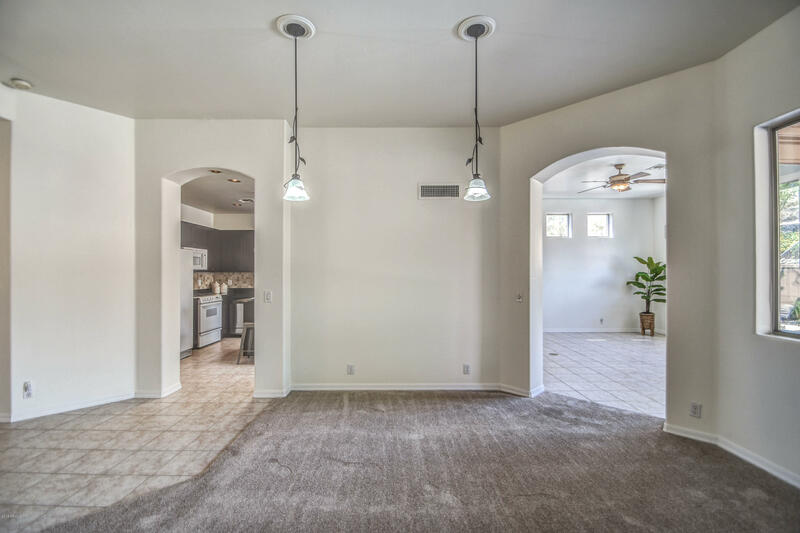 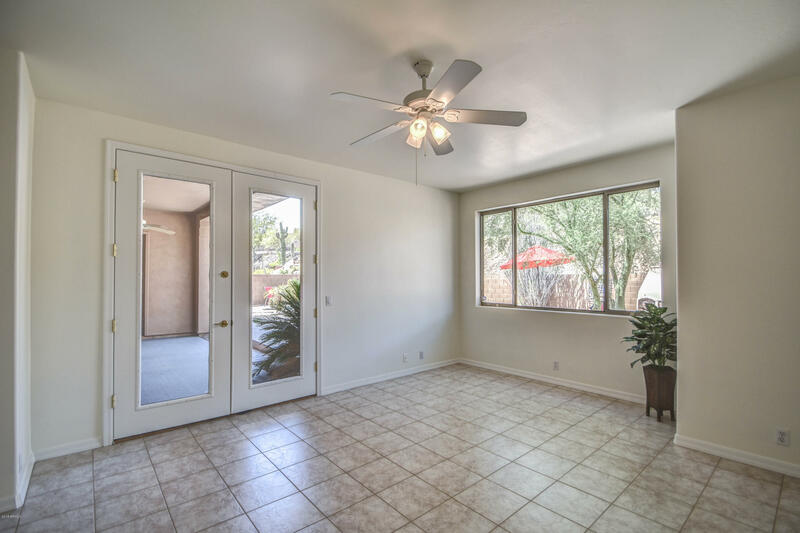 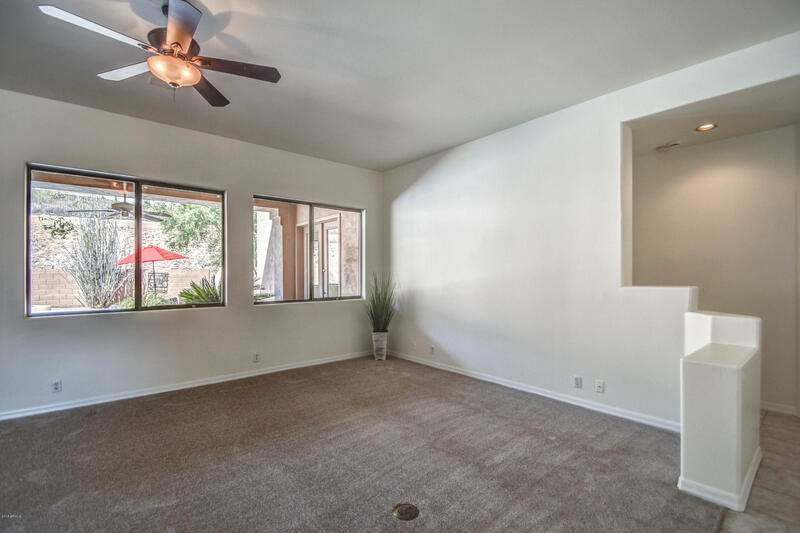 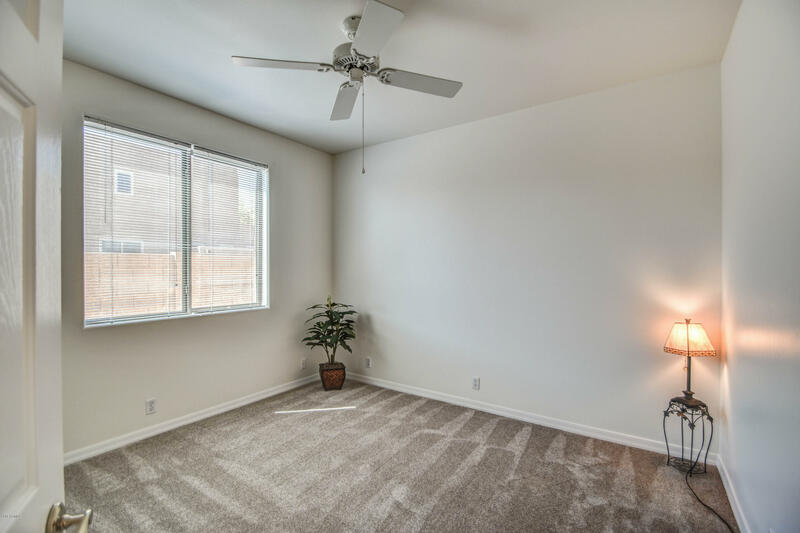 High ceilings, NEW interior paint and NEW carpet throughout. 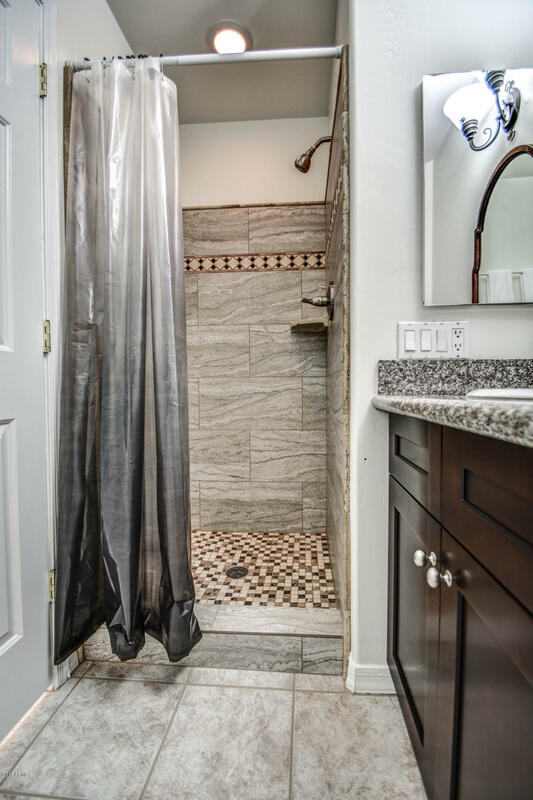 Freshly cleaned tile & grout! 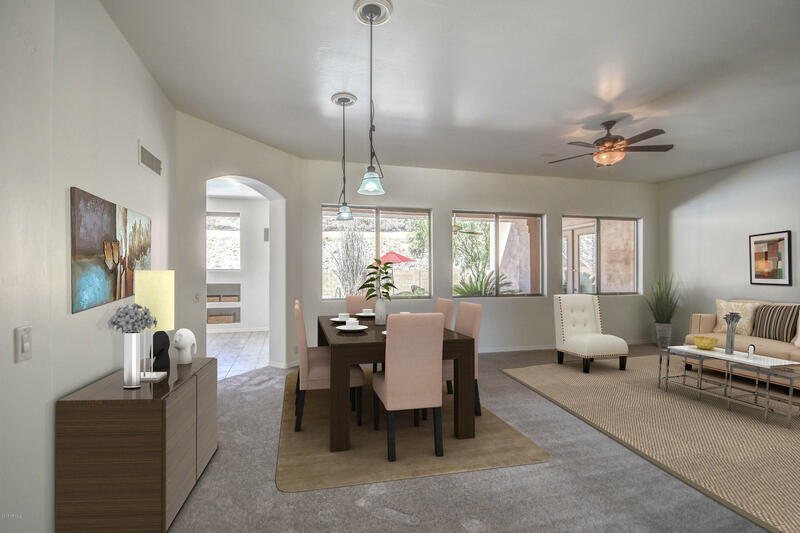 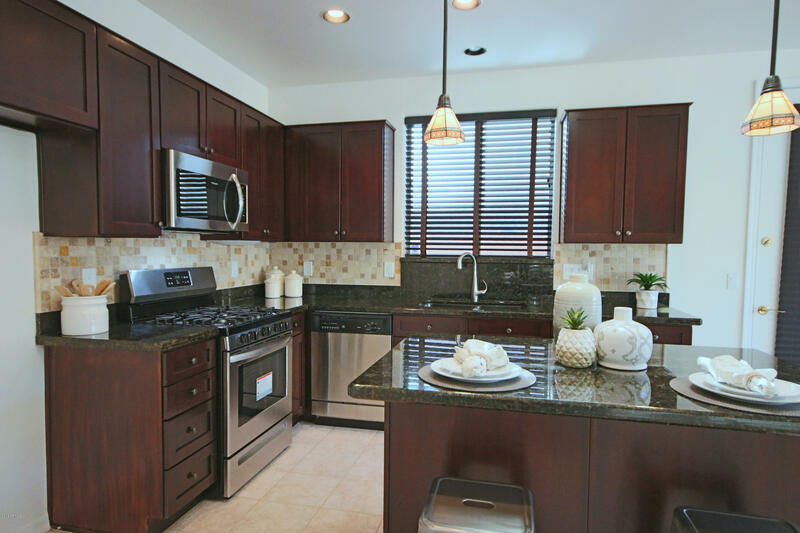 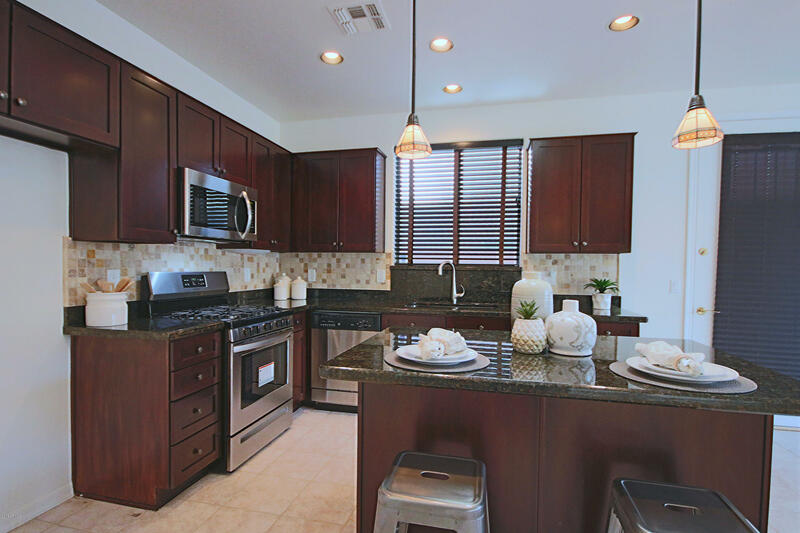 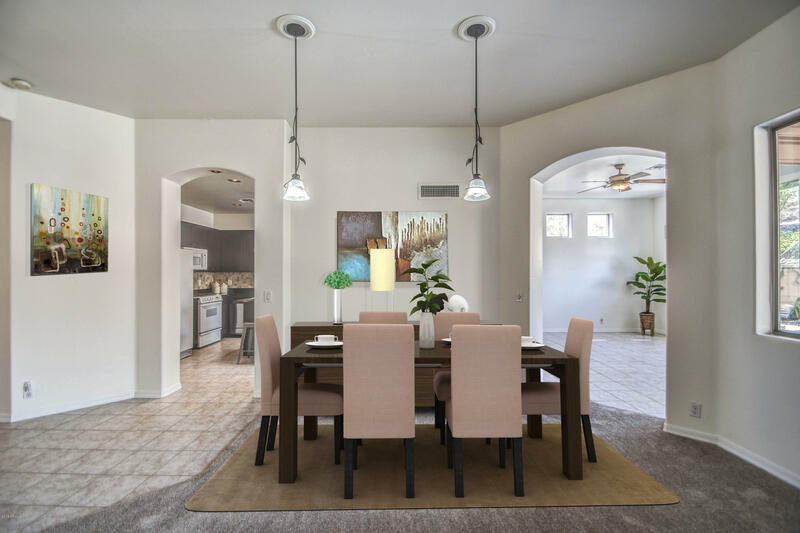 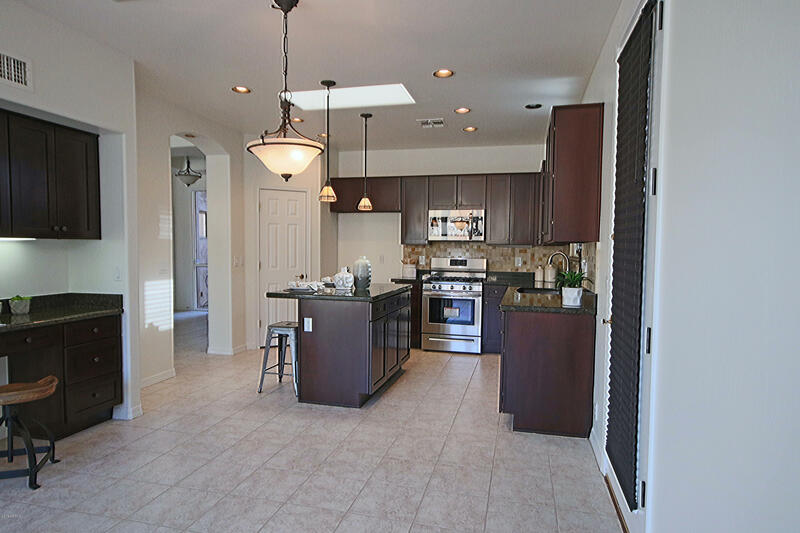 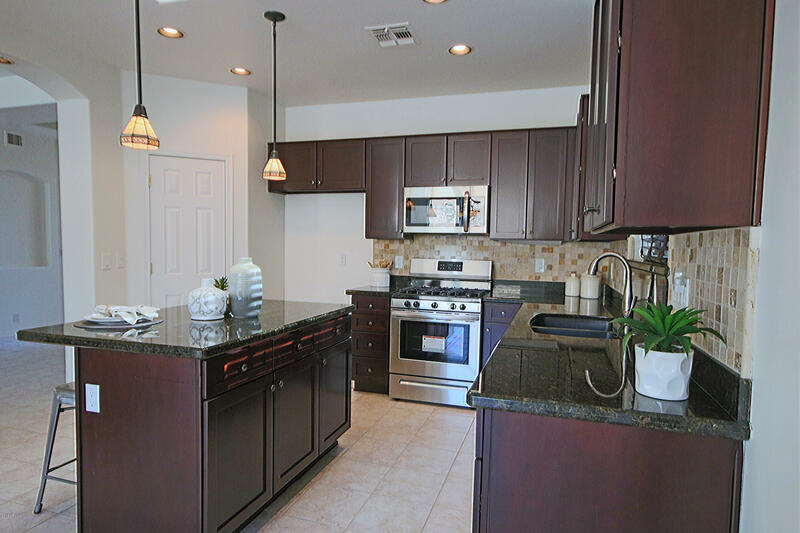 Eat-in kitchen with stainless steel appliances, granite counters, island, updated cabinetry, walk-in pantry, pendant lighting & separate exit to the side yard. 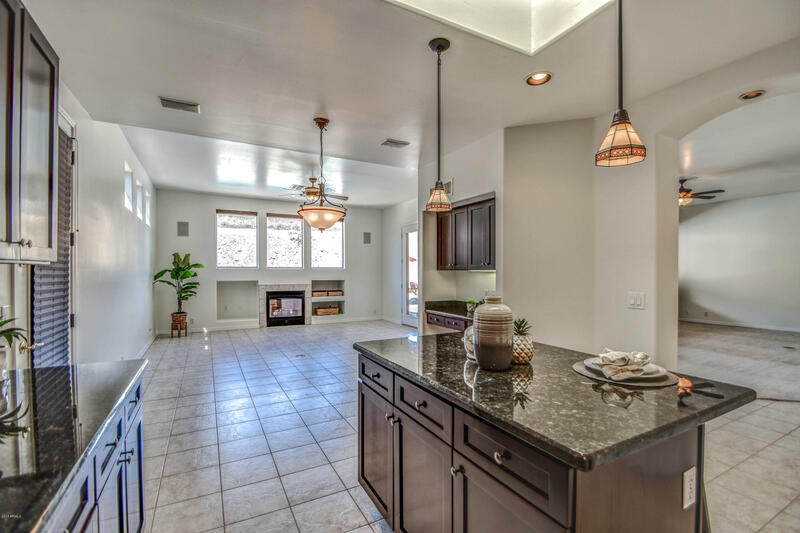 Kitchen is plumbed for RO system. 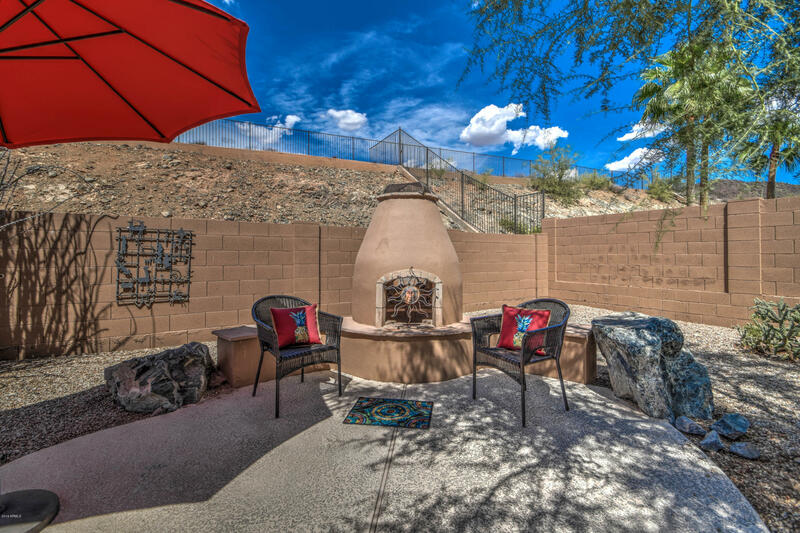 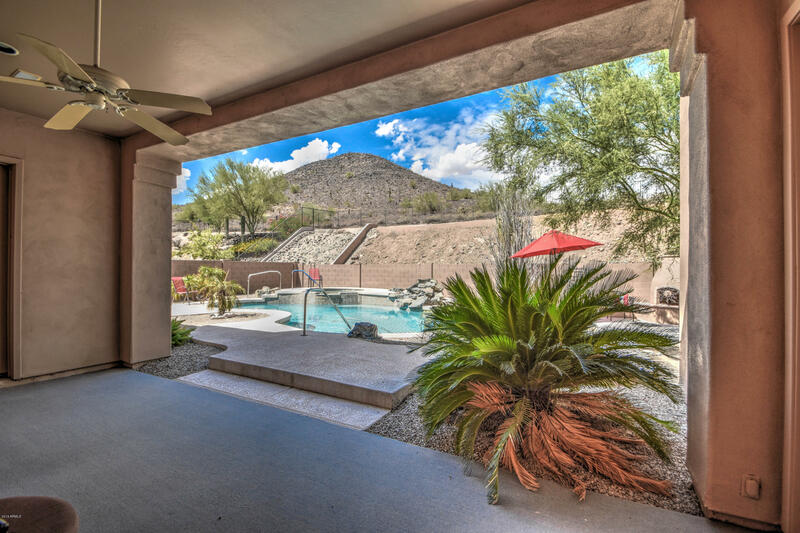 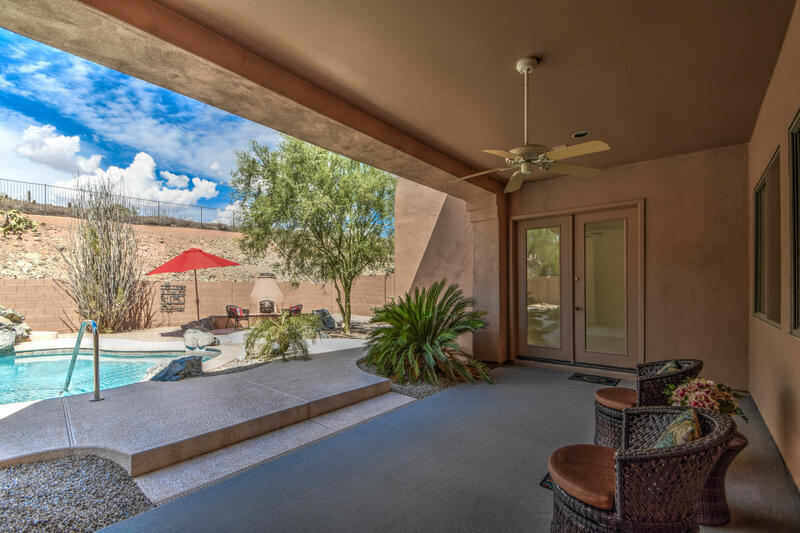 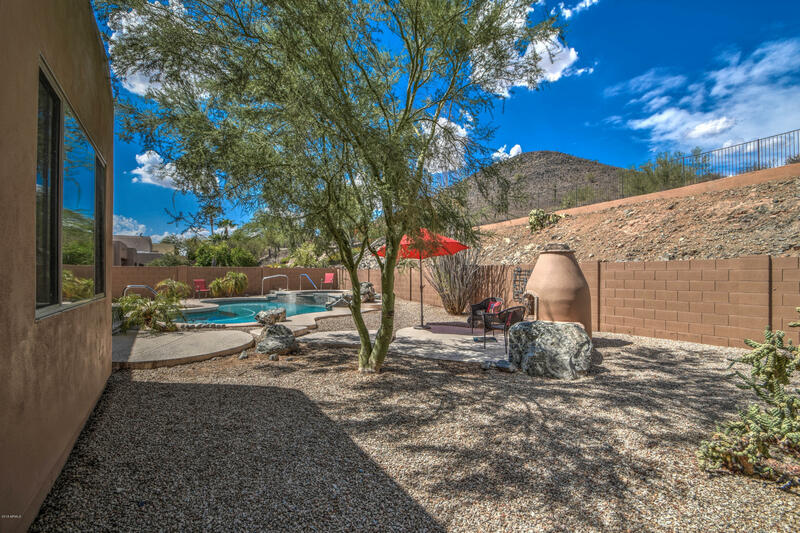 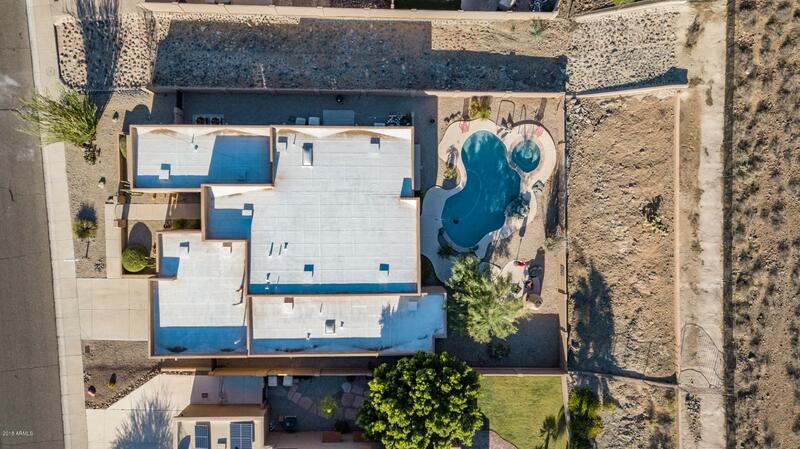 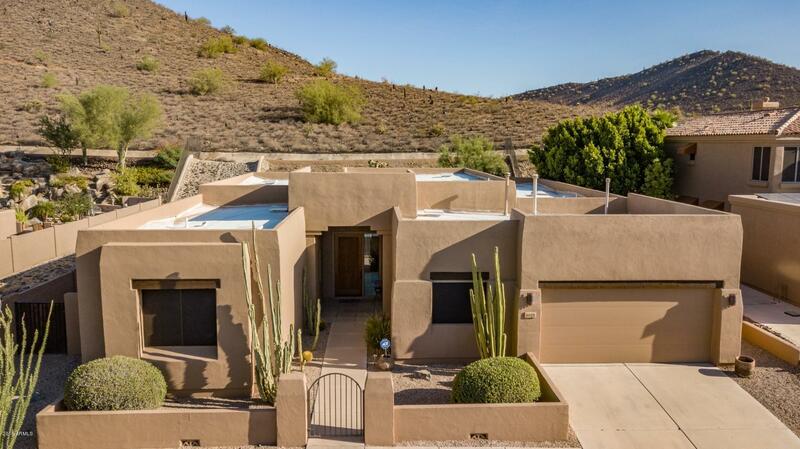 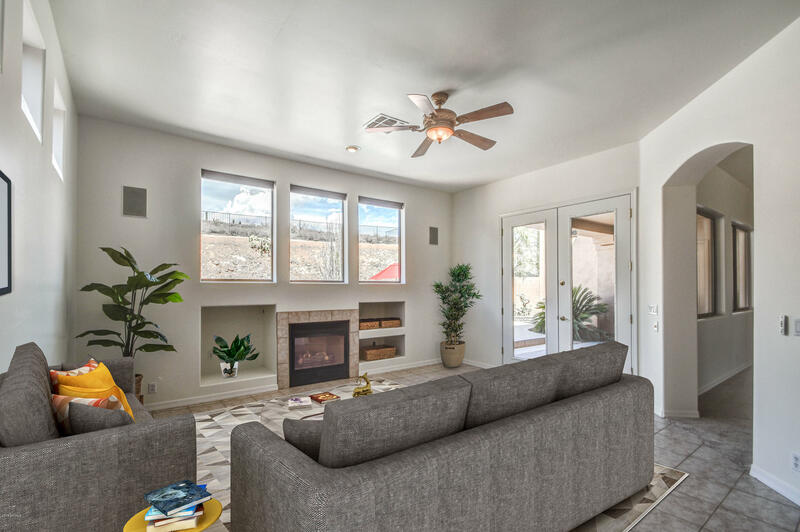 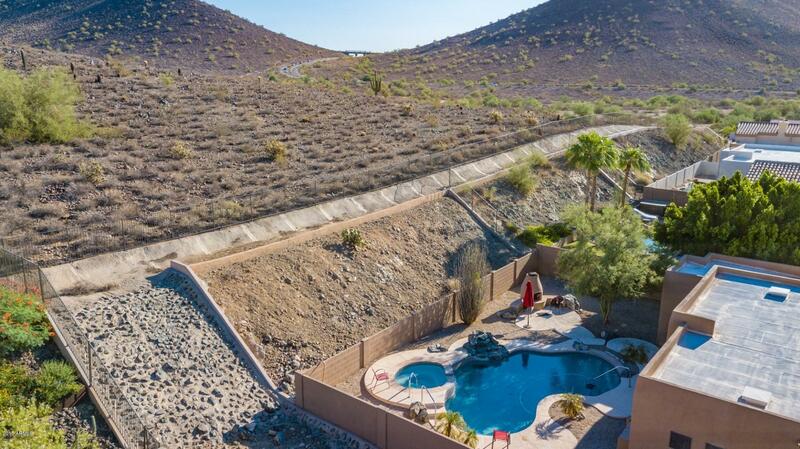 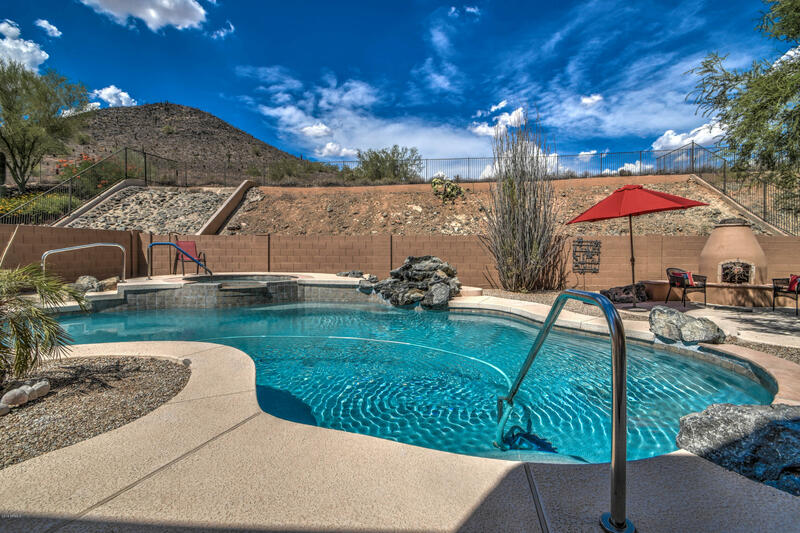 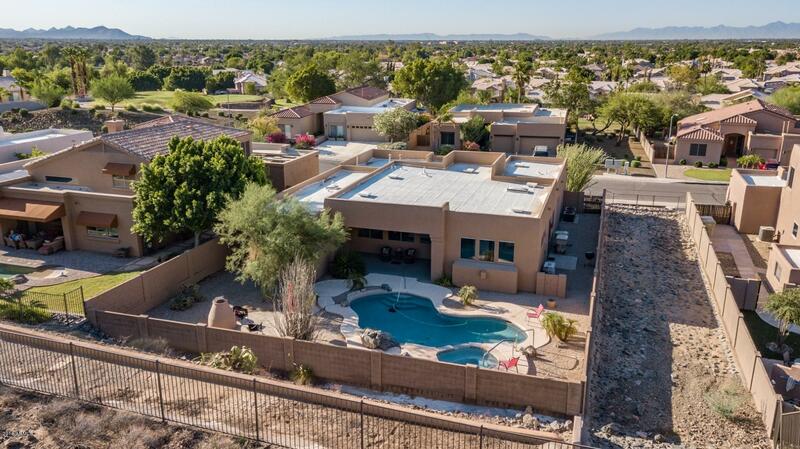 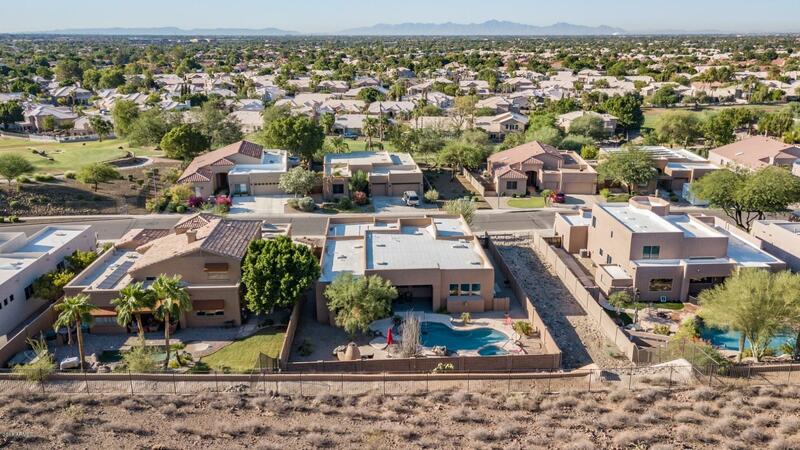 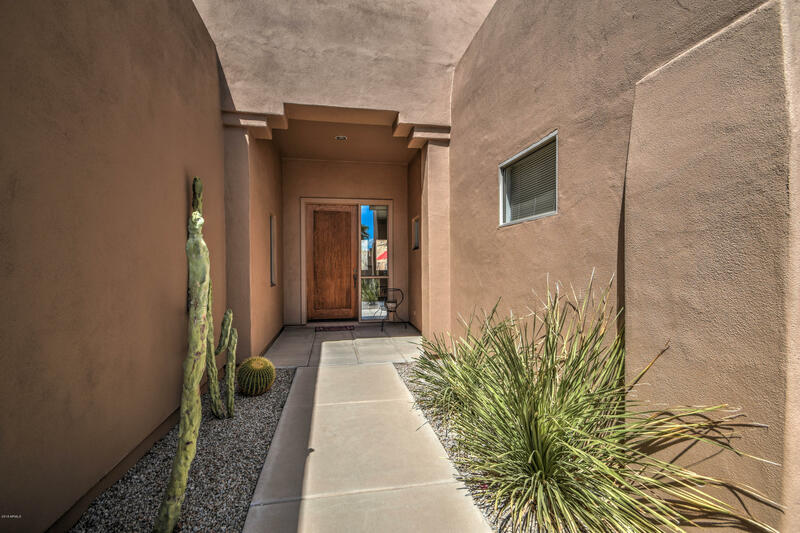 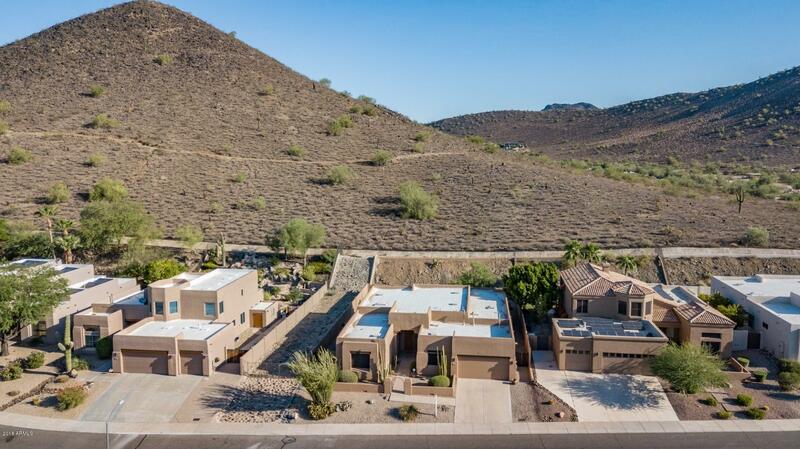 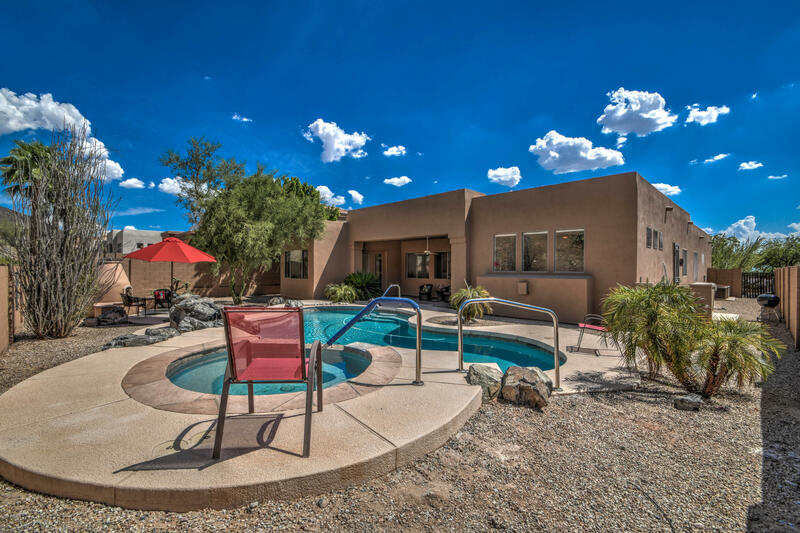 The backyard is an entertainer's dream - private covered patio with mountain views, newly resurfaced heated Pebble Tec play pool & spa, and Kiva fireplace with gathering area. 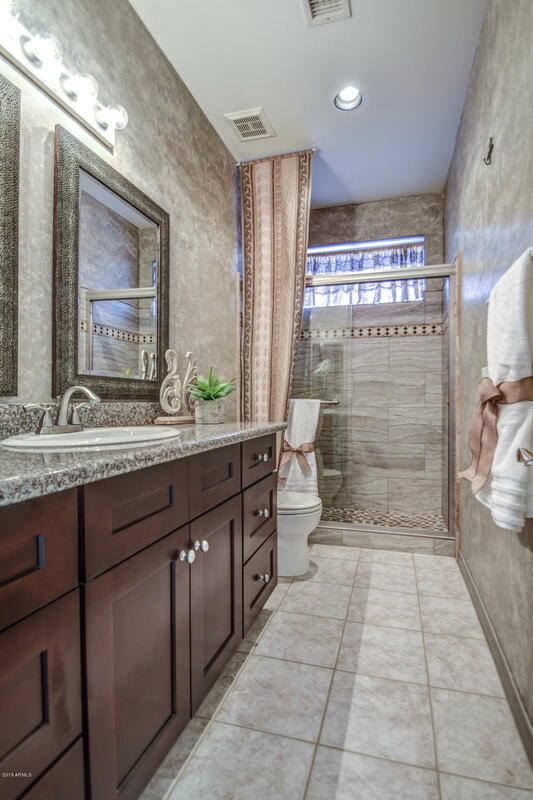 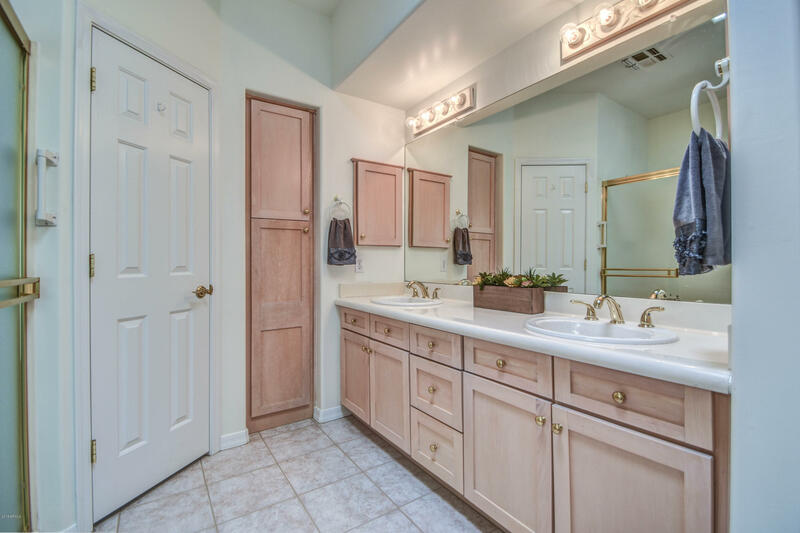 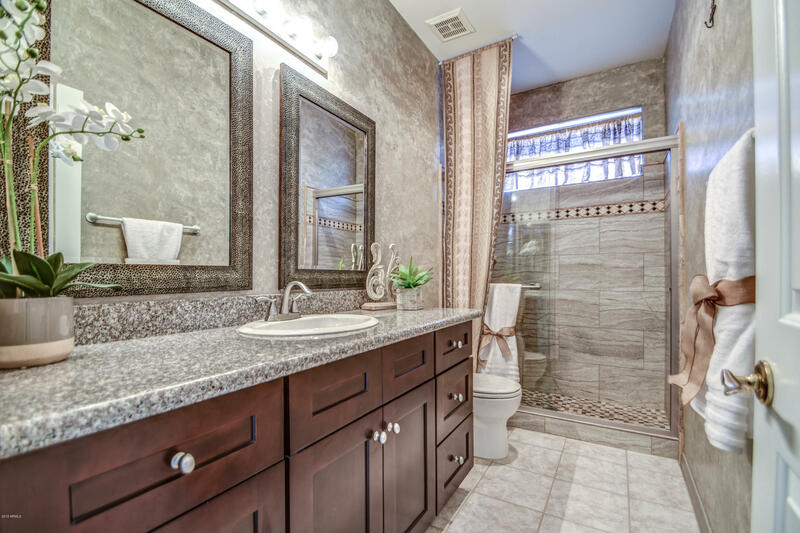 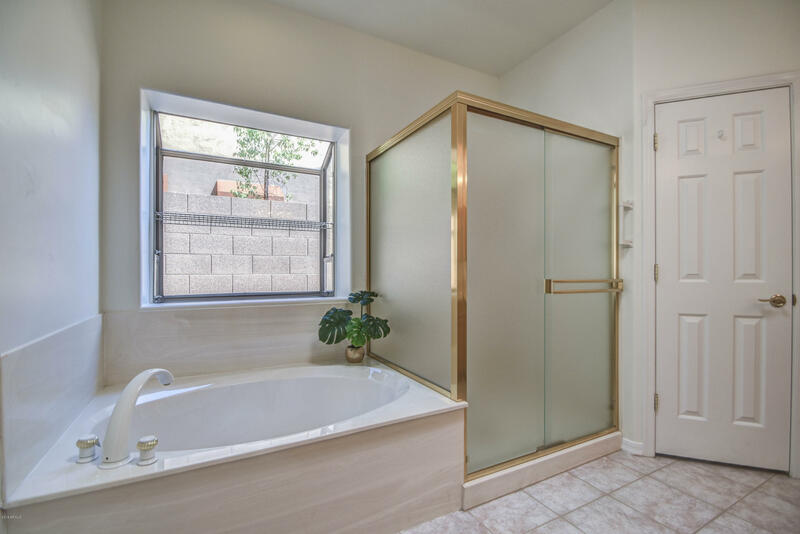 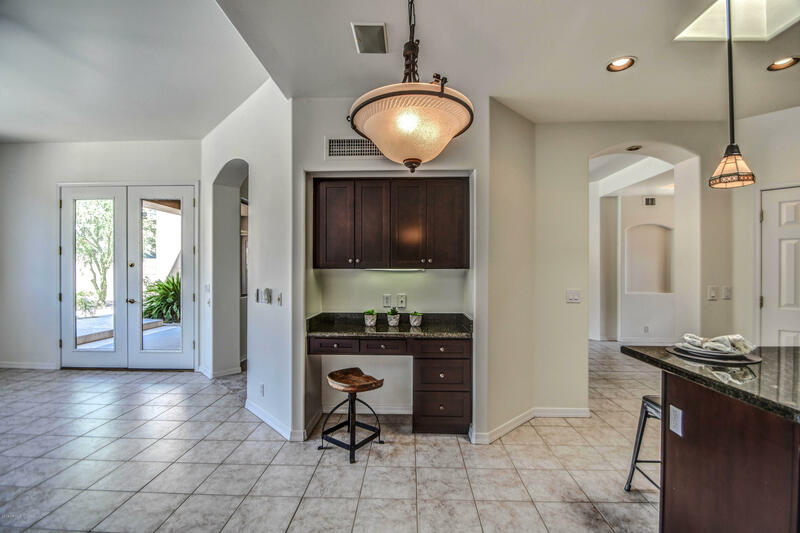 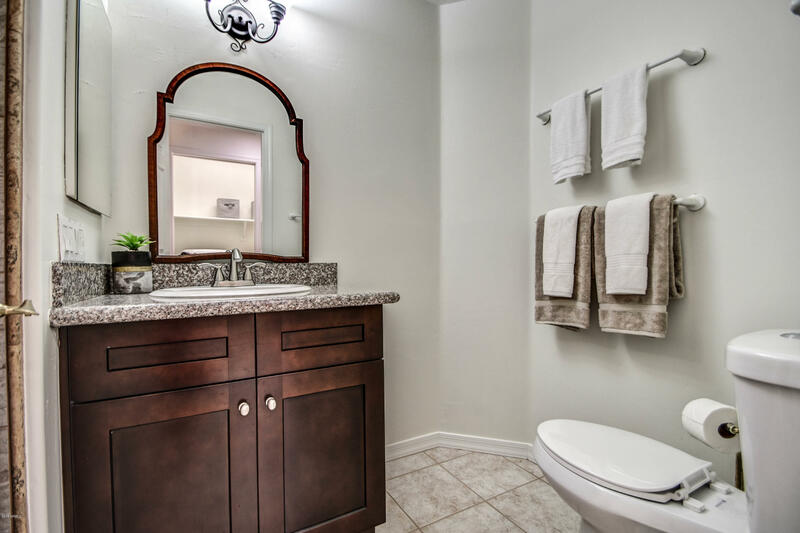 The master suite also exits to the backyard and features an ensuite bath w/2 spacious closets! 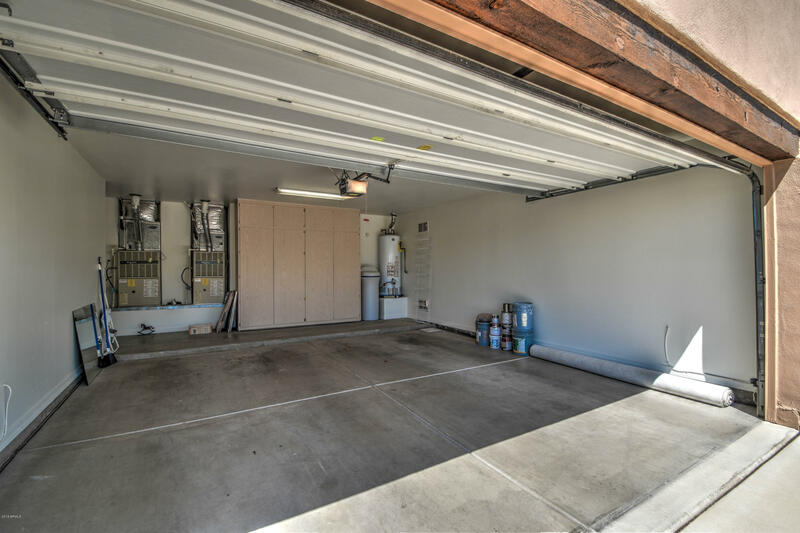 Built-in storage cabinets in garage! 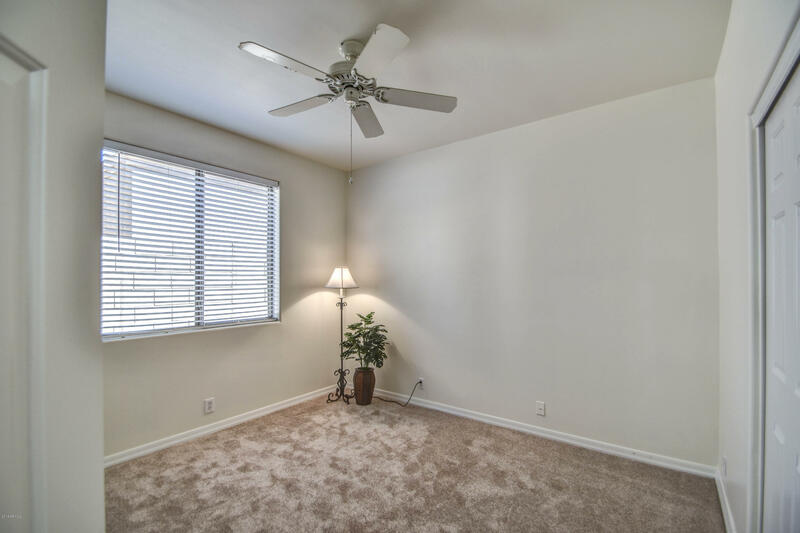 Close to the 101 freeway, dining & shopping!